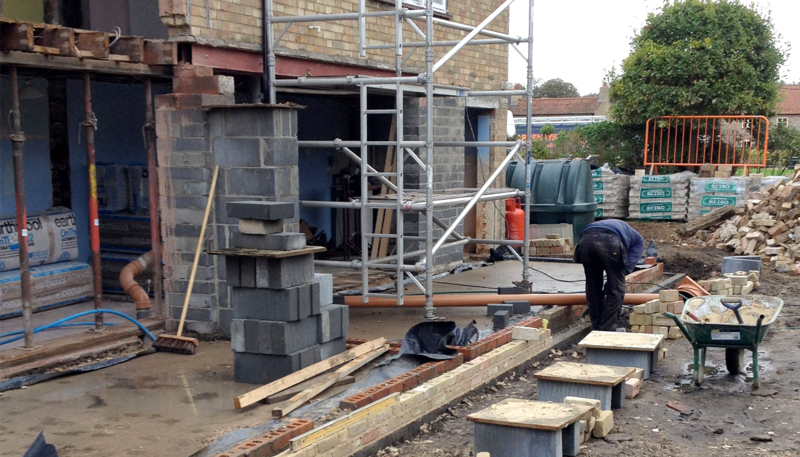 Local Builder Darren Wright is located in Swaffham, Norfolk but also provides professional building services in Dereham, Watton, Kings Lynn, Fakenham, Downham Market and Norwich. 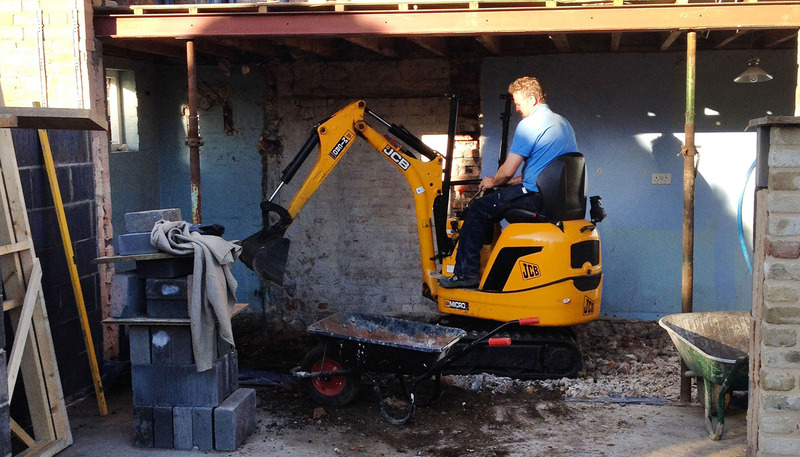 Whatever the project Darren Wright provides a friendly, polite service. completing projects on time and to an agreed budget. Whether it is an extension, a luxury bathroom or kitchen, re-plastering, or new build you will be glad you chose Darren Wright Professional Builder. 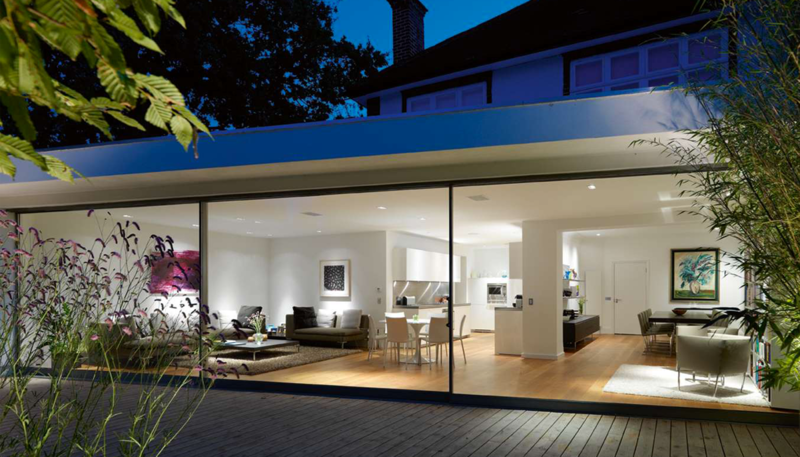 Established for over 25 years, this local family builder is renown for quality building practice. As well as fitting quality kitchens and modern, stylish bathrooms Darren Wright brings a comprehensive range of skills and expertise to your project. Do you wince at the thought of "getting the builders in". It is a common experience to watch workmen in your home who may not share your care and consideration for furniture and decor. 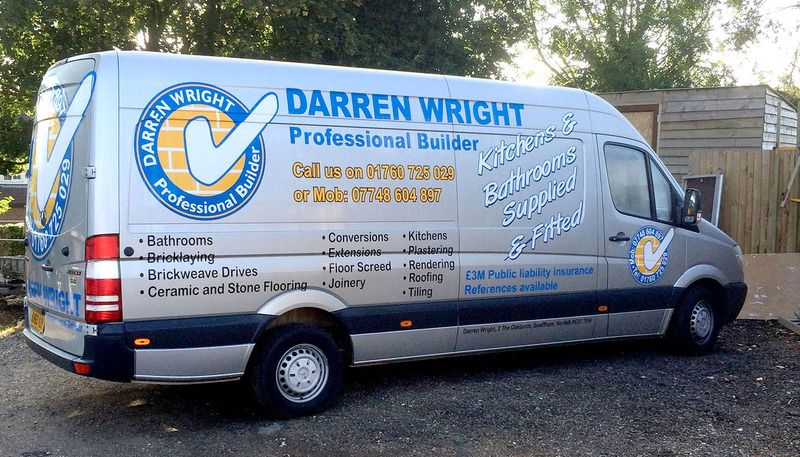 Darren Wright is different, he and his sub contractors all believe that you, the customer, come first. They always work in a safe, clean and tidy fashion, leaving you with a feeling of confidence in their standards and workmanship. Call Darren today on 07748 604897 to discuss your build project. Thank you all very much, both for the work you did and the way in which you did it. “I am writing a short note of recommendation and appreciation for all the work you have done on my home. We originally employed your company to build an extension to our house only but the job grew and grew as I kept finding new additions and renovations for you to undertake. Thank you for your time and patience in doing all this work. From the moment you first came here to provide a quote, to the last day on site we have been delighted by your professionalism, timekeeping, advice, and good humour. Nothing was an issue, problems were solved quickly and efficiently and the results are better than we could have imagined. Please give my personal thanks to everyone, yourself included, for the organising, advice, and for answering my numerous questions, as well as the practical work you did on the build. I have already recommended your company to other people. If any new clients wish to talk to me about the experience, please feel free to use this reference in any way you wish, especially to recommend your work to new clients. Thank you all very much, both for the work you did and the way in which you did it. Good luck and best wishes for all your future jobs. The loft conversion blends in with the rest of our house perfectly, it’s as though it has always been there! Our friends and family are very impressed with your work. The extension was completed to the agreed price." 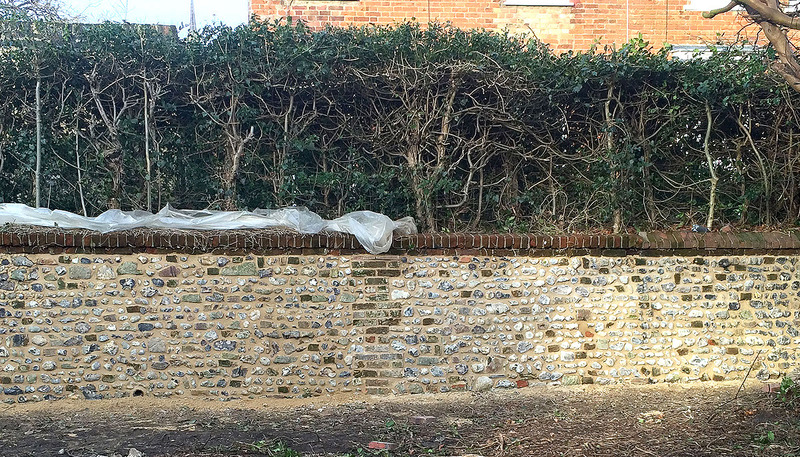 “Darren Wright’s quote for external rendering and painting was very competitive and he surveyed and accepted the work in late winter, when other tradesmen were unwilling to work outside. During the task, he and his tradesmen were punctual and courteous and the work area was left neat and tidy every day. At all stages Darren kept me informed of the progress and all works were completed rapidly and to a high standard. He even arranged for his scaffolding sub-contractor to leave the scaffolding up for another week to assist the roofers that were working on the property (under separate contract). I was highly impressed by his flexibility in this matter and delighted that the final bill was exactly as per his initial quote. I would not hesitate to use his services again and I am delighted to provide a positive reference for him. “Following the recent work you did for us, extending the kitchen through into the dining room of our Grade ll listed house, my wife and I would like to thank you. Not only did you and your men achieve excellent results within budget and in good time, but you achieved it all with the minimum of fuss and mess. Your knowledge of the rules regarding listed buildings, ensured that we got the results we had hoped for, without fear that we might be contravening the regulations. We will unhesitatingly call on you again for any future building work and we will recommend you to anyone owning a property, listed or otherwise, who needs a job done skilfully, sensitively and effectively for a most reasonable price."